MH370 – Another Plausible Theory | Words, By George! The loss of MH370 – Here is a different point of view by Chris Goodfellow. He has looked as this conundrum from a pilot point of view and its simplicity makes a lot of sense. I have found that explanations and examinations from pilots have made more sense than the media generated scenarios. Pulau Langkawi 13,000 foot runway. A lot of speculation has happened about MH370. Terrorism, hijack, meteors, aliens. I cannot believe the analysis on CNN – almost disturbing. I tend to look for a more simple explanation of this event. A loaded B772 departs midnight from Kuala Lumpur to Beijing. Hot night. Heavy aircraft. About an hour out across the gulf towards Vietnam the plane goes dark meaning the transponder goes off and secondary radar tracking goes off. Two days later we hear of reports that Malaysian military radar (which is a primary radar meaning the plane is being tracked by its reflection rather than by transponder interrogation response) has tracked the plane on a southwesterly course back across the Malay Peninsula into the straits of Malacca. When I heard this I immediately brought up Google Earth and I searched for airports in proximity to the track towards southwest. The left turn is the key here. This was a very experienced senior Captain with 18,000 hours. Maybe some of the younger pilots interviewed on CNN didn’t pick up on this left turn. We old pilots were always drilled to always know the closest airport of safe harbour while in cruise. Airports behind us, airports abeam us and airports ahead of us. Always in our head. Always. Because if something happens you don’t want to be thinking what are you going to do – you already know what you are going to do. Instinctively when I saw that left turn with a direct heading I knew he was heading for an airport. Actually he was taking a direct route to Palau Langkawi with a 13,000 foot strip with an approach over water at night with no obstacles. He did not turn back to Kuala Lampur because he knew he had 8,000 feet ridges to cross. He knew the terrain was friendlier towards Langkawi and also a shorter distance. Take a look on Google Earth at this airport. This pilot did all the right things. 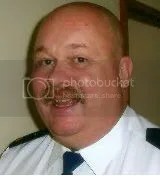 He was confronted by some major event onboard that made him make that immediate turn back to the closest safe airport. For me the loss of transponders and communications makes perfect sense if a fire. There was most likely a fire or an electrical fire. In the case of fire the first response if to pull all the main busses and restore circuits one by one until you have isolated the bad one. If they pulled the busses the plane indeed would go silent. It was probably a serious event and they simply were occupied with controlling the plane and trying to fight the fire. Aviate, Navigate and lastly Communicate. There are two types of fires. Electrical might not be as fast and furious and there might or might not be incapacitating smoke. However there is the possibility given the timeline that perhaps there was an overheat on one of the front landing gear tyres and it blew on takeoff and started slowly burning. Yes this happens with underinflated tyres. Remember heavy plane, hot night, sea level, long run takeoff. There was a well known accident in Nigeria of a DC8 that had a landing gear fire on takeoff. A tyre fire once going would produce horrific incapacitating smoke. Yes, pilots have access to oxygen masks but this is a no no with fire, as oxygen potentiates fire. Most have access to a smoke hood with a filter but this will only last for a few minutes depending on the smoke level. (I used to carry one of my own in a flight bag and I still carry one in my briefcase today when I fly). What I think happened is that they were overcome by smoke and the plane just continued on the heading probably on autopilot until either fuel exhaustion or fire destroyed the control surfaces and it crashed. I said four days ago you will find it along that route – looking elsewhere was pointless. This pilot, as I say, was a hero struggling with an impossible situation trying to get that plane to Langkawi. No doubt in my mind. That’s the reason for the turn and direct route. A hijack would not have made that deliberate left turn with a direct heading for Langkawi. It would probably have weaved around a bit until the hijackers decided on where they were taking it. Surprisingly none of the reporters , officials, other pilots interviewed have looked at this from the pilot’s viewpoint. If something went wrong where would he go? 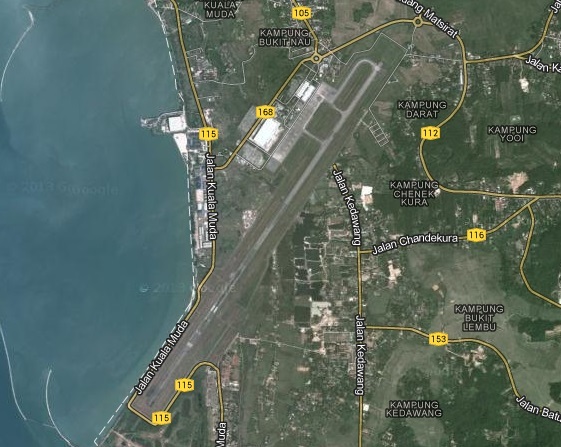 Thanks to Google Earth I spotted Langkawi in about 30 seconds, zoomed in and saw how long the runway was and I just instinctively knew this pilot knew this airport. He had probably flown there many times. I guess we will eventually find out when you help me spread this theory on the net and some reporters finally take a look on Google Earth and put 2 and 2 together. Also a look at the age and number of cycles on those nose tires might give us a good clue too. Fire in an aircraft demands one thing – you get the machine on the ground as soon as possible. There are two well remembered experiences in my memory. The AirCanada DC9 which landed I believe in Columbus Ohio in the eighties. That pilot delayed descent and bypassed several airports. He didn’t instinctively know the closest airports. He got it on the ground eventually but lost 30 odd souls. In the 1998 crash of Swissair DC-10 off Nova Scotia was another example of heroic pilots. They were 15 minutes out of Halifax but the fire simply overcame them and they had to ditch in the ocean. Just ran out of time. That fire incidentally started when the aircraft was about an hour out of Kennedy. Guess what? The transponders and communications were shut off as they pulled the busses. Get on Google Earth and type in Pulau Langkawi and then look at it in relation to the radar track heading. 2+2=4 That for me is the simple explanation why it turned and headed in that direction. Smart pilot. Just didn’t have the time.